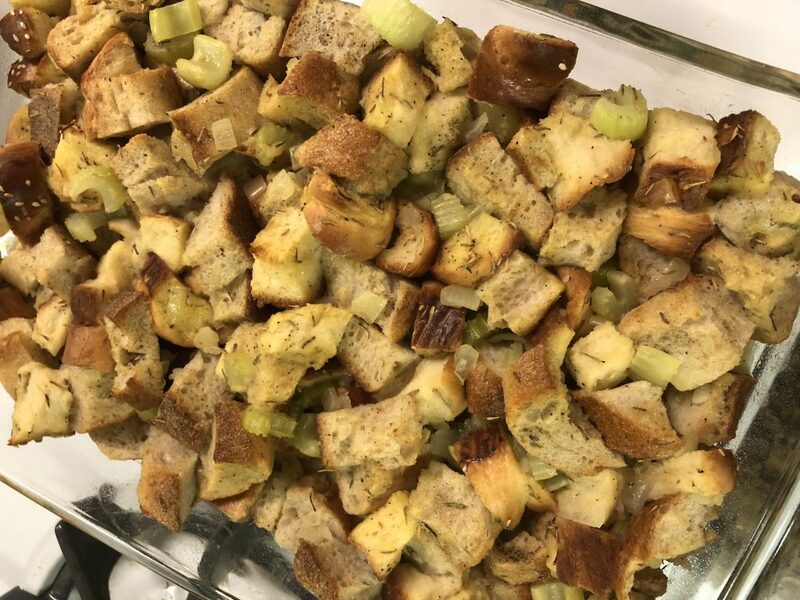 The Thanksgiving recipe fest continues today with this delightful Challah Stuffing recipe. Stuffing will work with most kinds of breads, but I like the richness the Challah brings 🙂. 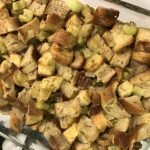 I also LOVE that you don’t need to sauté the bread cubes–that always seems to be one of the messier parts of Turkey Day prep! Check it out! Preheat oven to 350 degrees. Line a baking sheet with aluminum foil and spread the cubed bread in one layer. Toast in the oven for 5 minutes to dry it out. Set aside. 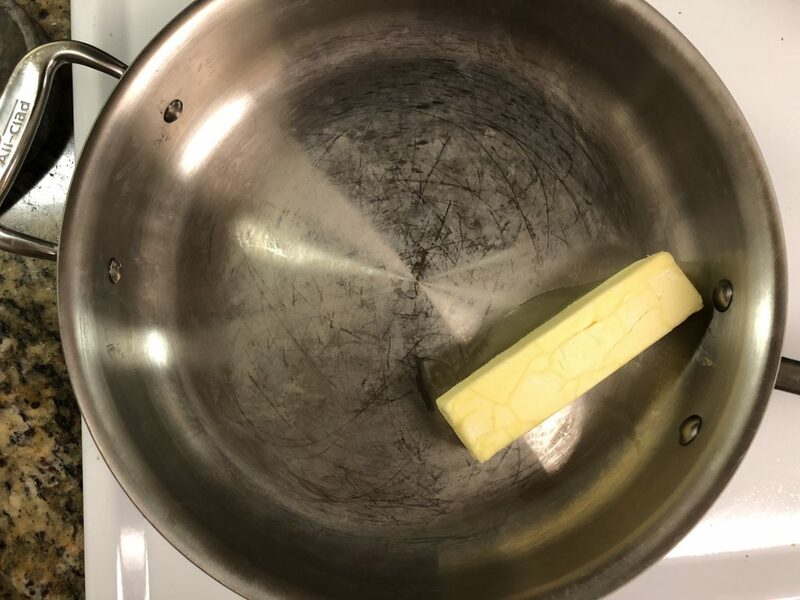 In a skillet over medium heat, melt the margarine. 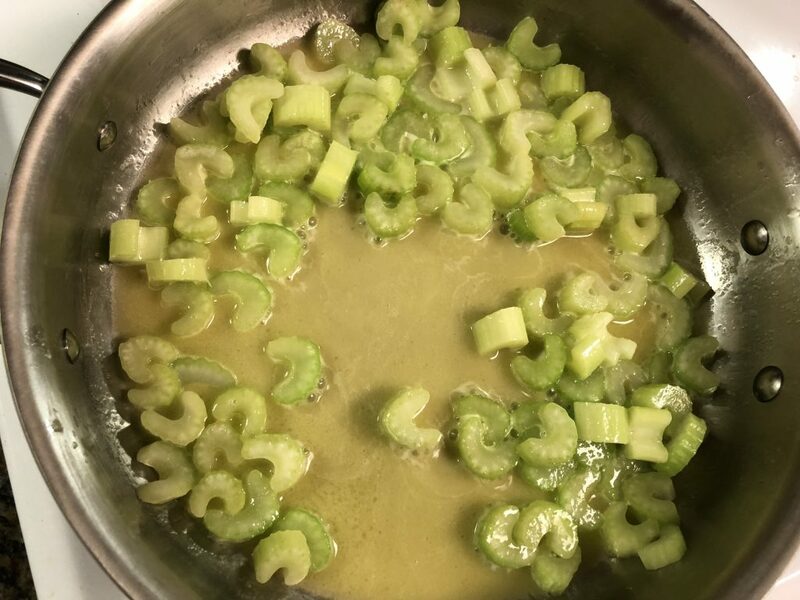 Add the celery and sauté for a few minutes to soften. Add the onion and sauté until tender. Set aside. In a large mixing bowl, toss the bread with the thyme , salt, pepper and eggs. Add in the sautéed veggies. Add the broth and gently fold. If you happen to make this at the same time as my Slow Cooker Mashed Potatoes, you can use the leftover reserved broth for this step. 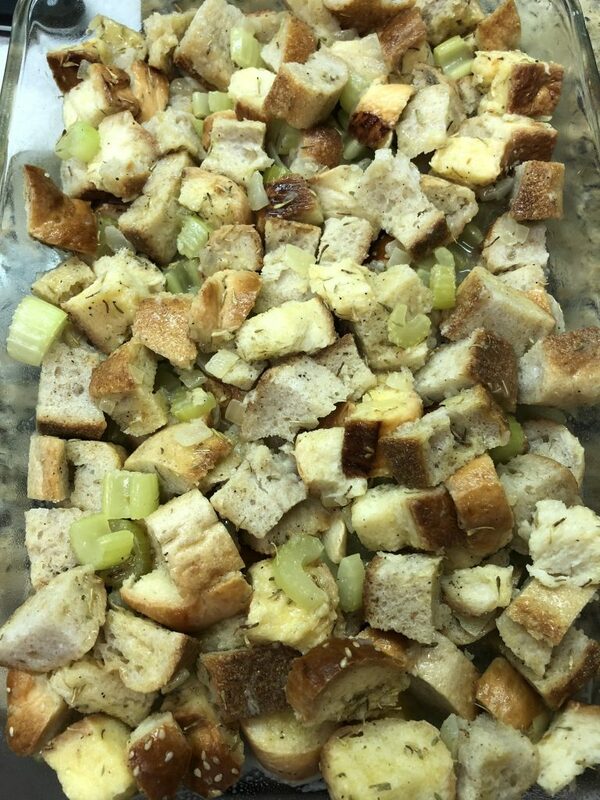 Transfer the bread mix into a greased 9 x 13 baking dish and bake uncovered for 20 minutes. Happy Thanksgiving! 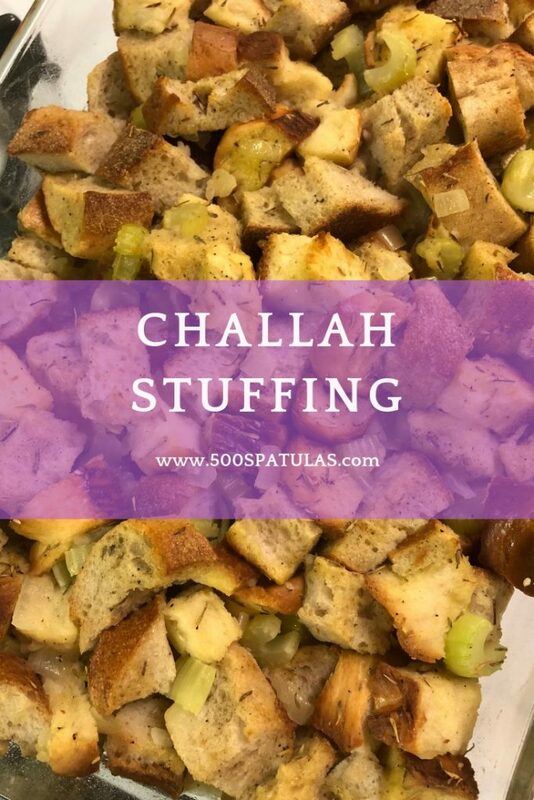 May this Challah Stuffing make your in-laws and your Bubbie proud. Preheat oven to 350 degrees. 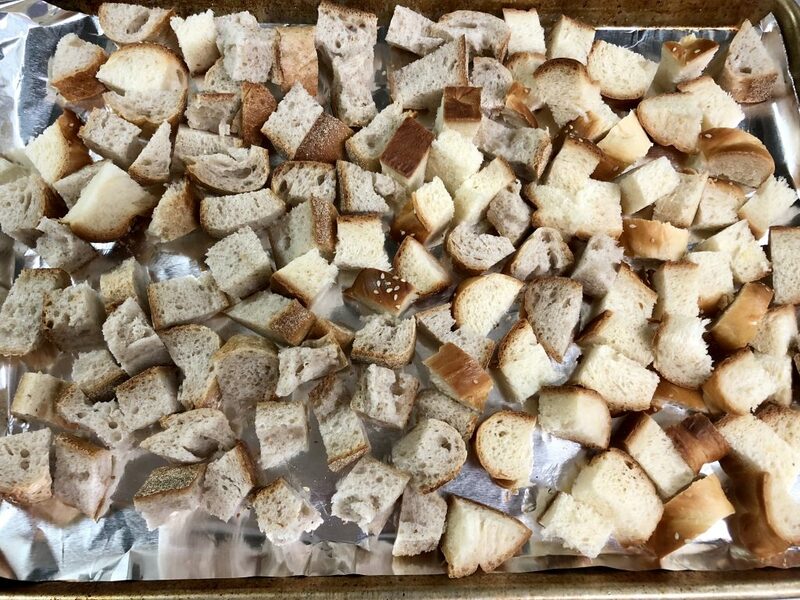 Line a baking sheet with aluminum foil and spread the cubed bread in one layer. Toast in the oven for 5 minutes to dry it out. Set aside. In a skillet over medium heat, melt the margarine. 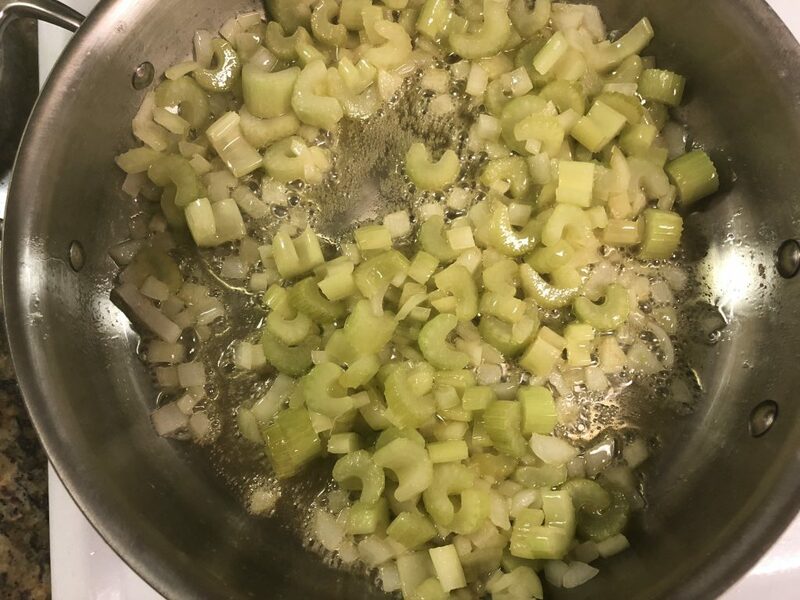 Add the celery and sauté for a few minutes to soften. Add the onion and sauté until tender. Set aside. 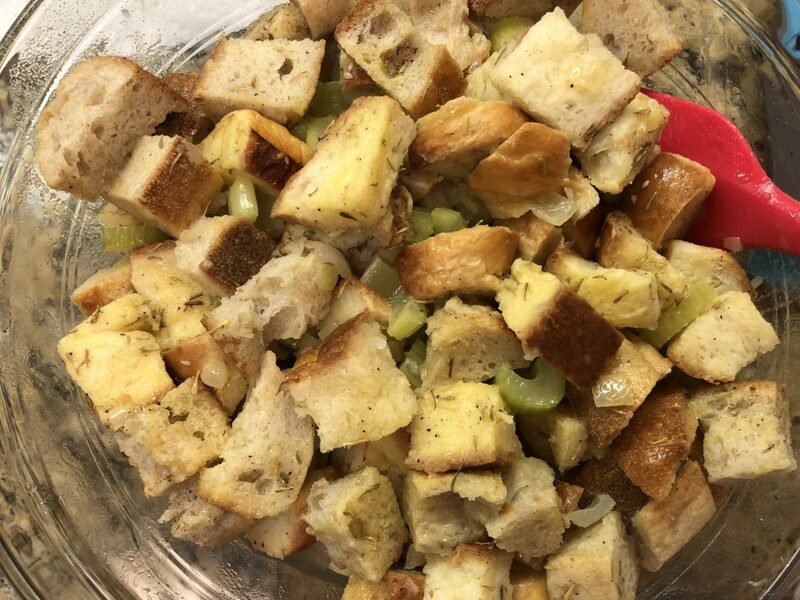 In a large mixing bowl, toss the bread with the thyme, salt, pepper and eggs. Add in the sauteed veggies. Add the broth and gently fold in. If you happen to be making this at the same time as my Slow Cooker Mashed Potatoes, you can use the leftover reserved broth here. Transfer bread mix into a greased 9 x 13 baking dish and bake uncovered for 20 minutes.